Sky has announced the launch of a new Now TV box and the device will launch in August and will retail for £14.99. According to Sky, their new Now TV box is designed to provide a ‘faster and smoother experience’ over the existing device, it will also come with changes to the user interface, this is headed to existing boxes as well. NOW TV, the online streaming service, will launch the Sky Sports Month pass as part of a series of exciting new developments to the service. These will also include the roll out of a brand new box and an improved user interface. Speaking at the Future of Broadcasting Conference in London today, Sky’s Chief Marketing & Digital Officer, Stephen van Rooyen said the new products and services will help build on the considerable momentum the service has created since it launched three years ago. The company also announced a new Sky Sports Month Pass which will give you a months worth of access to all of the Sky sport channels, this will cost you £31.99. They will also offer a weekly pass which will cost £10.99 and a daily pass which will cost £6.99. 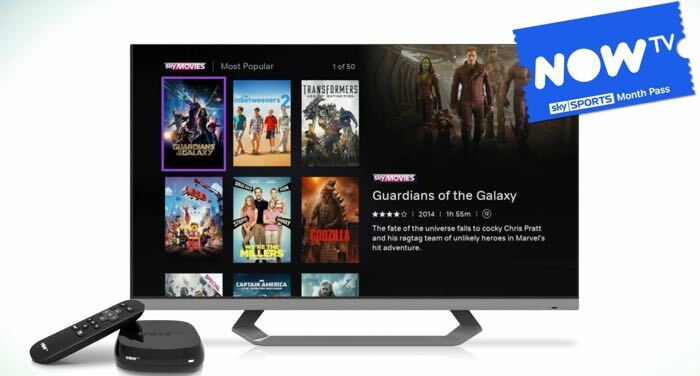 You can find out more details about the new Sky Now TV Box over at Sky at the link below, the device will go on sale some time in August.